The US debt crisis is back. It is not yet official because we may still be a couple of weeks away but Treasury secretary Lew announced that there will only be about $ 50 billion in cash around mid-October so the debt limit of $16.7 trillion will have to be raised. A close watch of Treasury debt shows that the total debt outstanding has been stationary at just below the debt limit. The Treasury has been taking all means necessary to make sure that there is more time until a crisis, but it is coming. Both side of the debt crisis are fairly vocal on where they stand. The president says that he will not negotiate on this matter. Raise the limit so it will not be binding and I will give Congress nothing in return. His position is that the Congress is responsible for any fall-out from not increasing the limit. Republicans have stated that they are willing to increase the debt ceiling in return for cuts in spending. Cut the budget and slow the spending and the president will get his debt level increase. All this means is that as we move through September there will be more posturing and talk like what was seen in July 2011. The result was a budget deal that included the spending sequester which the government is now living under. The US has weathered sequestering since March without any major hardship, but the period before the deal was marked by higher market volatility. We should expect the same as we move to the deadline in mid-October. There is no hard and fast date but this should be the focus of the Fall. 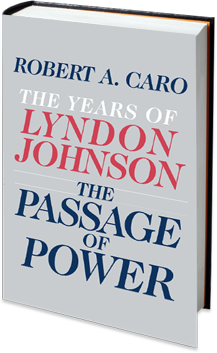 Just finished the third part of Robert Caro's biography of Lyndon Johnson. Once again I am amazed at this complex individual who reaches the prize of the presidency only through the assassination of JFK. Lyndon Johnson is someone who has tremendous capacity for good yet at the same time is not a person you would like. He is flawed yet has transformed America through the passage of key legislation for minorities. He shows singular focus to meet long-term goals, a dedication to his own success and the success of his ideals. Yet, he is petty, vain, and moody. Someone who craves attention and power, yet also fears failure. Still, when he is called upon to lead he is may have no equal. 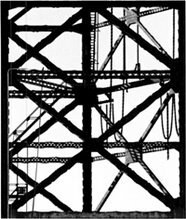 Caro again provides a rich portrait of a man of power who is only human. Reading this great writer is always worth the time as he provides rich details on how power is exploited, as well as won and lost in Washington. No one writes better about the ups and down of those who are political power players. A JP Morgan analyst reported that if there is a change in the LME rules for warehousing of aluminum, it could have a major impact on aluminum producer profits. The profits of 2/3rds of the producers may turn negative. JP Morgan and other banks are being investigated with regard to their use of LME warehouses. As owners of warehouses and members and owners of the LME, they control the rules of the game. The current rules of the LME make it very hard to take metals out of the warehouses; consequently, the available inventory is lower than what would be suggested by the warehouse numbers. The criticism is that this restriction of inventory costs aluminum users through the higher prices from less available supply. Of course, the producers are the beneficiaries of this lower inventory. So it is natural for the bank to tell the market that if the rules are changed, the producers will be harmed. You change the rules and someone will be harmed. OPEC production is up based on increased barrels coming out of Saudi Arabia. Production is just under 10 mm barrels a day with an icnrease that will offset most of the recent Libyan shortfall. We have a crisis in the Middle East and the Saudis will increase the production to dampen any risk premium in the market. Saudi production is offsetting shortfalls in Libya and Nigeria, but more importantly, it is able to dampen the geopolitical risk premium. With issues in both Egypt and Syria, there is a good reason for an enhanced risk premium, but if supply flow is increased there can be inventory build that will offset any future disruption. Increase production even if not needed. Allow for inventory build before a crisis. Use inventory to dampen the shock. Cut production and allow inventory to move lower. Repeat if necessary. This game has been played for decades and has saved the globe from a number of price shocks. The issue is always how long can this continue or what happens if there is a change in Saudi policy. You cannot always bet on increased supply during a crisis. "Such an economist becomes a shallower, narrower analyst with feeble capabilities for adapting the theory and statistics he has mastered to new and strange social environments. All problems strike such a one as new." "that each crisis is not due to coincidental bad events or unique institutional features"
I was one of the economists not trained in history. Luckily, I had a liberal arts education. You cannot be a good investor or analyst without a sense of the past and sense of human nature. A commentator who thinks an event is unique or new is most likely someone who has not studied the past. There has been a delinking between equities and commodities over the last few months as each market is following its own path. It seems like the search for yield and return pushed stocks higher over the last year but had the opposite effect in commodities which has been buffeted by excess supply. The distinction between commodities and equities means that we should not expect a long-run strong positive correlation between the two. If there is a common factor like demand growth, there will be a positive correlation but if there are supply shocks in commodities, they may move in the opposite directions. More recently, there has been a number of supply shocks in commodities that have not translated into anything that would move stocks in the same direction. Commodities will be driven by macro demand effects but in the short-run logistic or supply shocks will have a stronger impact on these markets. The decline in correlation from post crisis highs has been significant. The correlation between the DJUBS index and the S&P 500 has sustained low levels for most of 2013, some of the lowest levels since 2008. The 120-day rolling correlation are now around .35, about half of what we have seen in the post crisis period. There also is a significant decline in cross market correlations within the commodity sector. The correlations have been declining since the end of 2010 and are again at some of the lowest levels since 2008.markets are now moving to their unique supply and demand conditions. There will be fall-out from any normalization of Fed policy and the sector that has been and will be hit the hardest is emerging markets. The developed markets have started the slow process of delevering at least on the private side but the emerging markets have done the opposite as witnessed by the current account deficit of a number of countries. Borrow to finance your deficit and you will be hit hard when rates increase or liquidity dries up. See India, Indonesia, Turkey, South Africa and other levered EM countries. It seems like there is an emerging market crisis and no one is watching or concerned. Of course, there are reports in the newspapers, and followers of global markets know there has been some significant sell-offs, but there does not seem to be much concern on what may be the implications across all markets. Policy-makers are saying there should be some action that is coordinated but that talk has been very loose. Emerging market stocks as measured by the MSCI index are down 10 percent for the year. However, this does not measure the full extent of the damage in some countries that have current account deficits. Emerging market bonds have also suffered so those that have undertaken the carry trade of buying high yielders in EM and financed with the dollar are underwater. The idea of finding cheap financing in the US may be coming to an end and investors are leaving the EM party. This is becoming similar to other past stories when the Fed is tightening. This overall crisis does not actually take into account the problems with specific currencies such as the Indian rupee which is off by well over 20% since the end of the first quarter. This is a large move in any currency. There is a clear "sudden stop" current account deficit problem whereby no one wants to fund Indian debt. Price will adjust but the full fall-out from this currency adjustment is just beginning. There is a major current account deficit problem that will require an overhaul of the government finance and a private companies to retrench. There is little focus because because the decline has not be a rapid shock but just a steady downturn that is relentlessly applying pressure on prices. There is going to have to be intervention to protect currencies or capital controls to stem the outflow. There is little likelihood that internal policies will change in may of these countries so you can expect that EM should be off limits for investors who want safety or stable returns. Interesting work by Alp Simsek of MIT in his paper, "Speculation and risk sharing on new financial assets". He decomposing average portfolio variance into two parts, uninsurable variance (that which cannot be diversified away) and speculative variance. He argues that financial innovation through new assets will decrease unisurable or actual risk but there will be an increase in speculative variance. This is caused by differences in beliefs across investors that can be traded when there are new assets - innovation. Belief disagreement which can be expressed through new assets will increase speculative variance. New assets will create new bets or will amplify existing bets through the new sets of instruments available for trading. Additionally, if there is less disagreement there will more speculative variance when there are more unique ways to express a view. So what is he telling us? Financial innovation is bad thing and should not be allowed? Derivatives are inherently bad because it allows for speculation that was not possible before? The math may be sound but the result are not what one would expect. Commodity bounce in the face of Fed tapering? The Fed says it may taper its purchases of Treasuries and commodities seem like they are reversing the poor performance over the last year. Clearly these two events are not related because less liquidity will create a headwind for commodities; however, if the tapering of Fed activity is a result of stronger growth this may make perfect sense. We may be getting signs of stronger growth along with some unique supply shocks in commodities. 6. Ongoing problems in PMG mining. The 20% drawdowns in commodities may be coming to an end. Is Fed-fixation a psychological condition? Is Fed fixation a psychological condition? It seems like it is and there does not seem to be a cure for this psychosis. The symptoms are clear. There is a nervous twitching every time a Fed official starts talking about reducing the purchases under QE. There is an unhealthy focus on Fed behavior to the exclusion of anything else that may drive the economy. There is an irrational reaction to economic news so that poor data is good because it means more QE and good news is bad because that would suggest a cutback on QE. what is missed is the argument that has been put forward by the San Fransisco Fed and their research team that forward guidance is a more important driver. The Fed purchases could be cutback but if the forward guidance is that interest rates will stay low, the market should key on the guidance on not on the quantity of purchases. ETF money flows show what may be out of favor in the market. Unsurprisingly, the flows are consistent with market direction or momentum trading. The largest inflows over the last six months have been in the S&P 500, MSCI Japan, and the financial services sector. The greatest outflows have been in gold, emerging markets and investment grade bonds. The outflow from gold has been almost double what has gone into the S&P 500.While consistent with with the directional moves, flows provide a confirming signal on what is in and out of favor. First principles always is a good place to start with explaining economics. The Euro has strengthened nicely since mid-July on two major factors. First, the economy is starting to strengthen or at least has stopped the downward slide. Second, and more important are classic lessons in monetary economics. The balance sheet of the ECB is shrinking while that of the Fed still continues to grow. The gap or size advantage to the Fed is getting larger as banks who borrowed emergency funds from the ECB have started to make payments. The ECB has provided forward guidance that they will keep interest rates low, but the quantity side of central banking suggests that funds are a little tighter. This could change if there is an elimination of the current Fed QE buying, but for now the economic headwinds are in favor of the Euro. What makes commodities unique as an asset class is the fact that they are not well categorized or correlated. There is more dispersion in commodities than in most other asset classes as measured by average correlation within a set or more sophisticated measure of correlation within a matrix of assets. Energy can move higher while metals move lower. Precious metals will not be linked with non-ferrous metals. Grain markets will not move with softs or tropical markets. This decoupling has become more evident this year as grain markets have declined while other sectors have moved in different directions. This provides dampened returns and volatility for indices but also offers opportunities for those managers which can move back and forth between long and short positions. What is going on with metals warehouses? The CFTC has subpoenaed banks and owners of metals warehouses to determine if there has been manipulation and fraud in the release and delivery of LME contracts. The banks bought warehouses to take advantage of financing opportunities in the metals markets, but in the process they have limited the amount that have left warehouses which may have resulted in the higher price for these metals. Slow deliveries may have cost the consumers and now the CFTC wants to get to the bottom of the issue. This has been on ongoing area of interest with highlights of the arcane rules in the NYT. Exchange rules and procedures for delivery matter. The race for the new Fed chairman is heating up and it really is coming down to a choice between Janet Yellen and Larry Summers. What this means is that there will be a choice between two doves. Both are on record for having higher inflation as a tool to help get real rates negative. Both will be activists with respect to monetary policy and I don't mean that they are worried about higher inflation. Their desire for creditability is with helping economic growth and not controlling inflation. Should the economy be faced with only one view of central banking? "Our analysis suggests that communication about when the Fed will begin to raise the federal funds rate from its near-zero level will be more important than signals about the precise timing of the end of QE3," San Francisco Fed senior economist Vasco Curdia and New York Fed senior economist Andrea Ferrero wrote. - from latest SF Fed Economic letter. Interesting conclusion but one that should be expected. The link between LSAP and rates is not always clear, so just ending QE3 may not tell us what will happen to short-rates. Of course, it is expected that the short rates will go up but the magnitude of the change is unclear. On the other hand, forward guidance on when rates will increase will send markets a clearer signal on rates.